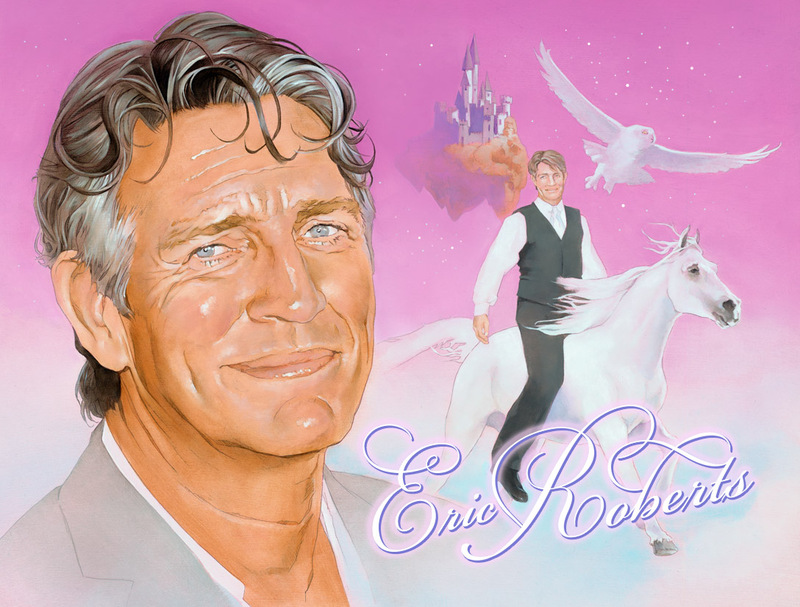 In the Eric Roberts podcast world, the people are represented by two separate, yet equally important groups: Our hosts, who have made a blood oath to carefully examine and discuss the works of actor Eric Roberts; and our guest, on this episode illustrator & cartoonist Brandon Bird, who has devoted his life to the study of the Law & Order franchise. These are their stories. LISTEN and discover Brandon Bird’s favorite Law & Order DA! Todd’s favorite Street Fighter character! And the story of how an Eric Roberts lunchbox ended up in the MAN’s hands! LOCK YOURSELF AWAY AND EXPERIENCE Eric Roberts is the Man Episode 14. You’re going to want to head over to Brandon Bird’s website http://www.brandonbird.com/ and explore the WEALTH of amazing art he’s let loose on the world. Once your’re appropriately impressed, head over to his store and start purchasing stuff! Makes a great Christmas gift for your nerdy, pop-culture obsessed friend. Why not begin with his book Brandon Bird’s Astonishing World of Art? Then go follow Brandon on Twitter and tell him how much you wish he would be on YOUR podcast. I’m sure he’ll love it. Head over to the article and read the nasty comment that we read out on the show, and the followup. The internet is mean! Then check out the traieler for EYES OF THE ROSHI. And you’re definitely going to want to read this Vanity Fair article called How Did an Oscar-Nominated Legend End Up in This Painfully Amateurish Horror Film? about James Caan appearing in the low-budget Canadian horror film SICILIAN VAMPIRE.